Fr. 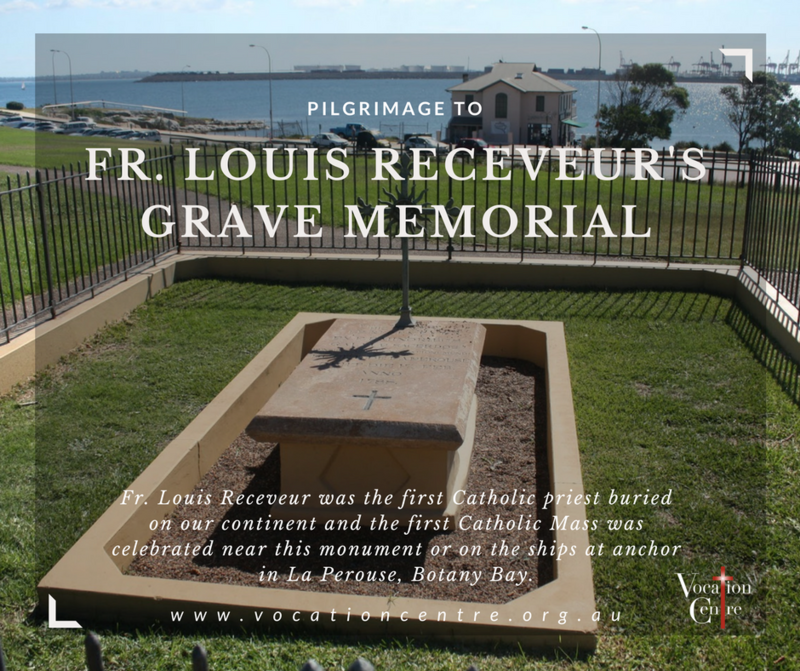 Louis Receveur was the first Catholic priest buried on our continent and the first Catholic Mass was celebrated near this monument or on the ships at anchor in La Perouse, Botany Bay. You are invited to take a pilgrimage to commemorate the brave and courageous life of Fr. Receveur. This pilgrimage is for men who are seeking a journey of discovery and discernment. Meet at St Benedict’s Broadway Parish (courtyard) – 104 Broadway, Chippendale NSW 2008 at 9:30am. A monument and grave of Friar Rene Receveur, a Franciscan scientist with La Perouse expedition who died here in 1788. He was the Chaplain and naturalist with the La Perouse expedition. He was speared in Samoa and died on reaching Australia. He was the first known Frenchman to be buried in the colony of New South Wales. Hyacinthe de Bougainville commissioned the tomb in 1825 but it wasn’t completed until 1828 under the direction of Captain Piper.